Jean Jacques Dessalines and Alexandre Petion is to Haiti what George Washington and Thomas Jefferson is the United States. So imagine a sign in a street protest in the USA that reads "Georges Washington, curse all the sons and dauthers of Thomas Jefferson." You will NEVER see a sign like that as long as you live! 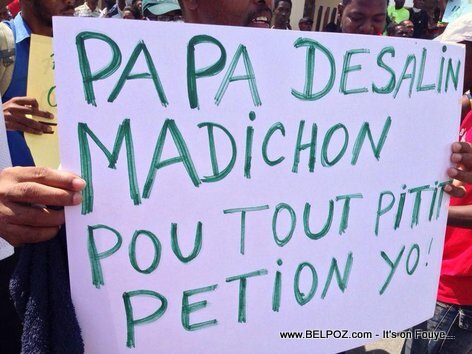 This sign is from a street protest in Port-au-Prince Haiti back in June 19 2014 when the opposition demanded the departure of President Michel Martelly from power. 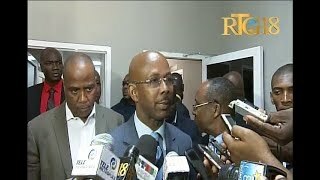 At the head of the protesters was Depute Arnel Belizaire a fierce opponent of the Martelly-Lamothe administration.